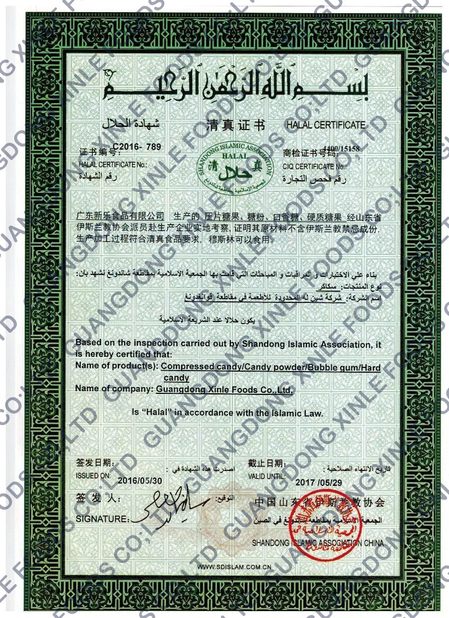 Quality Control - Guangdong Xinle Foods Co.,Ltd. 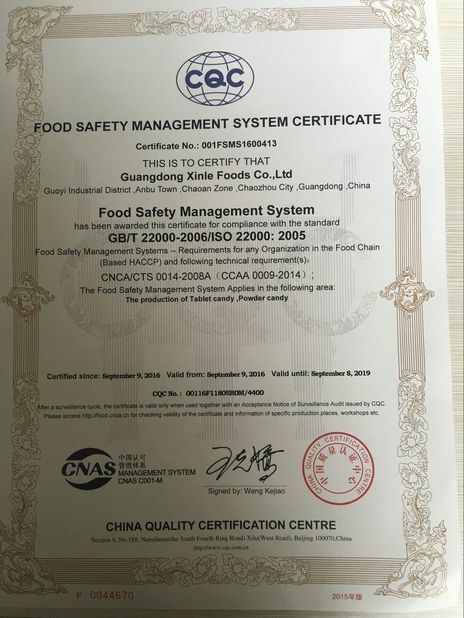 With international advanced technic and modernize production line; strictly produce the candy according to ISO22000,HACCP,MUI-HALAL,CIQ, SC certification and so on. Our company owns advanced mixing tabletting and screening equipment which are full automatic and high speed . Also it has automatic filling machine for the production line. 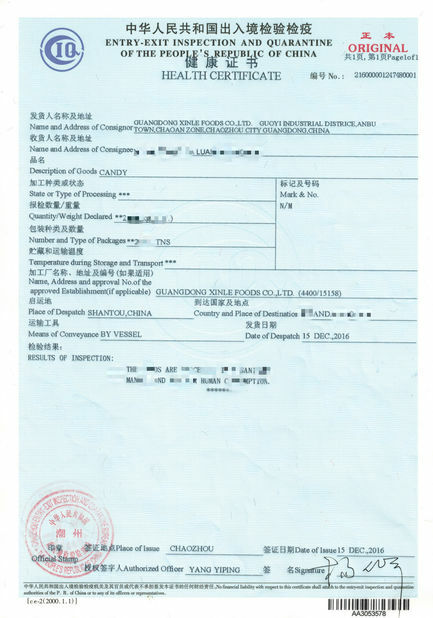 In order to ensure the product’s safety and health. 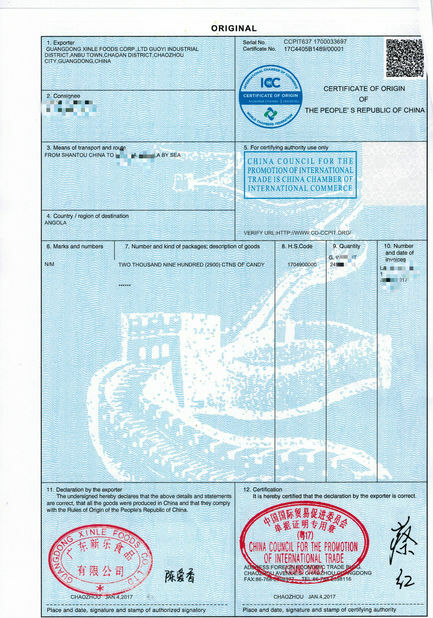 All kinds of products are produced in clean workshop. 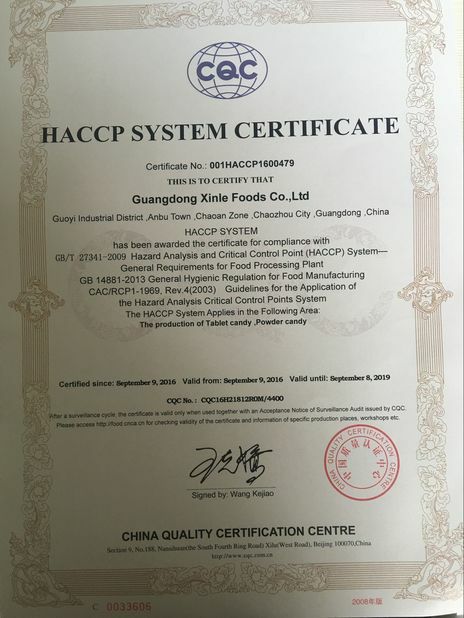 The product is made strictly under the GMP and HACCP to achieve standardization and high efficiency. In the clean workshop . 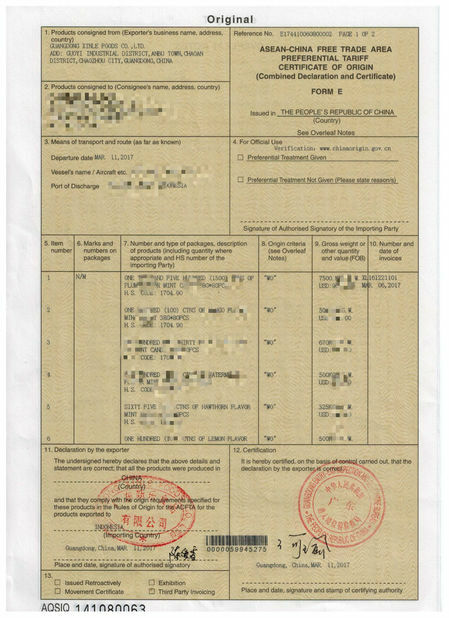 full set of air - condition was connected to ozone generator. Then the O3 could disinfect the whole workshop and the production equipment. Equiped with automatic linkage gate to keep the health production environment and the good quality product .